I go through phases when it comes to fashion/decor between black and brown. I got this brown daniel wellington watch last year (and still love it! ), but once my “black phase” hit, I preferred to have it in black and now that’s all I wear! What I’m really loving right now though is combining black and brown. It’s one of my favorite color combos and I think has such a cool earthy feel to it. Speaking of swing dresses…I have a slight obsession with ASOS swing dresses. In my experience, I’ve never had to worry about them being see-through, the fabric is super soft, and they have such a great drapey fit to them! A good swing dress is a great closet staple to have, because you can pair it with so many different things, and wear it season to season depending on how you layer it! 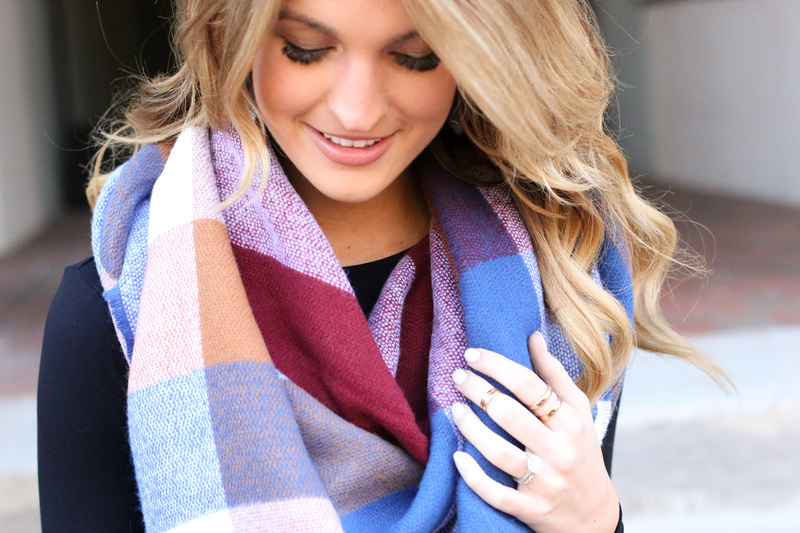 Love this scarf! And girl…your lashes are gorgeous.